At the 2017 Canadian Evaluation Society conference, my friend and fellow evaluator Carolyn Camman and I decided to start a podcast on the topic of program evaluation. We were inspired by Kylie Hutchison and James Coyle’s Adventures in Evaluation podcast, which had wrapped up in 2014, and also by the conversations we fell into whenever we met up in person. 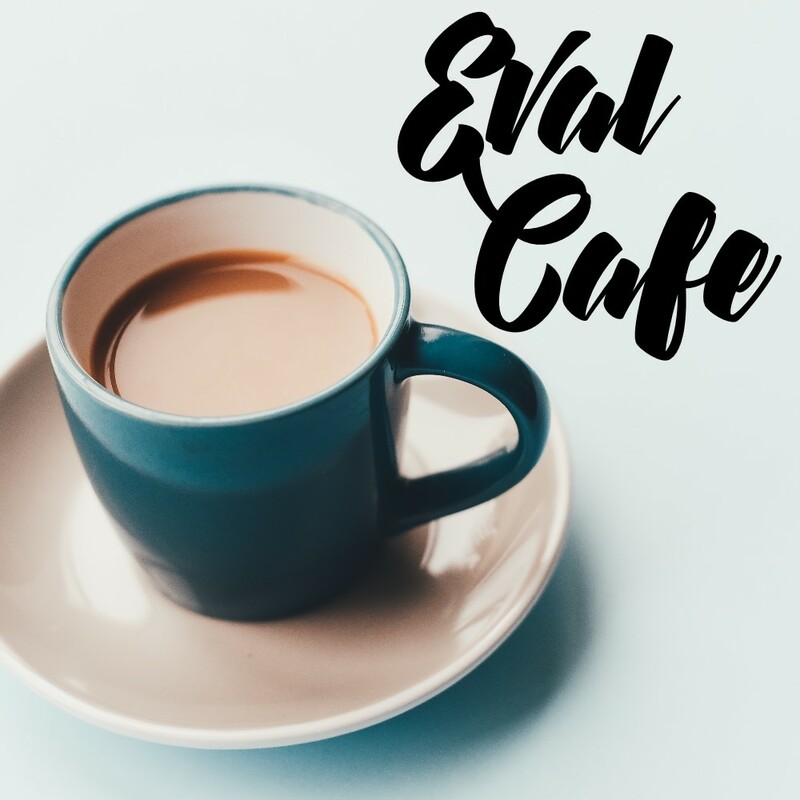 Thus, Eval Cafe was born, featuring informal chats on evaluation-related topics – the kind you might overhear at your favourite coffeeshop, if it was frequented by evaluators. While the two of us eat, live, and breathe evaluation, we do our best to keep the conversation accessible to anyone who has an interest in the field, even if they don’t identify with the term “evaluator”. In our short run thus far (16 episodes and counting! ), we have discussed a range of topics, from participatory approaches in evaluation to how Star Trek and evaluation connect. Our latest episode features Chris Corrigan, where we talk about the intersection between evaluation and facilitation as well as the role of evaluation in community change more generally. I think that if you work at all in the non-profit or social change field, you’ll definitely enjoy this episode! You can listen to the audio directly in your browser (below), or simply search for “Eval Cafe” in your podcast app/platform of choice and you should be able to find us. Also, a quick plug for Chris’ upcoming online course, The Art of Evaluation in Complexity, starting February 5th and featuring Carolyn as one of the presenters! This entry was posted in Resources by Brian. Bookmark the permalink.